Evrogen is an innovation-driven company founded by scientists dedicated to making successful ideas widely available as efficient products and services for life science research. Established in 2000 and constantly developing, Evrogen invents, develops and offers novel technologies and means in the field of molecular and cell biology. Scientists themselves, they aim at maintaining quality and efficiency of their solutions. They aspire to provide all their expertise to meet customer needs. 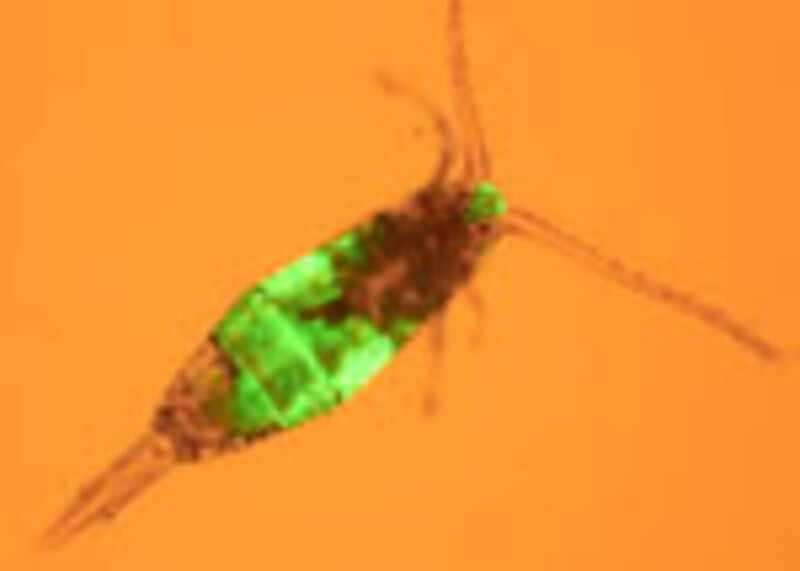 TurboGFP is an improved variant of the green fluorescent protein CopGFP cloned from copepod Pontellina plumata [Shagin et al., 2004]. It possesses bright green fluorescence (excitation/ emission max = 482/ 502 nm) that is visible earlier than fluorescence of other green fluorescent proteins. TurboGFP is mainly intended for applications where fast appearance of bright fluorescence is crucial. It is specially recommended for cell and organelle labeling, and tracking promoter activity. Destabilized TurboGFP variants allow accurate analysis of rapid and/or transient events in gene regulation. Tersus polymerase is a specially developed mix of proofreading and highly processive PCR enzymes and hot start antibodies that inhibit polymerase activity at room temperature, preventing non-specific amplification and allowing flexible reaction setup. High specificity of Tersus polymerase ensures its excellent performance in amplification of difficult templates, such as highly homologous repeats, genomic DNA or cDNA libraries. PCR amplification of phage λ DNA fragments using Tersus polymerase. 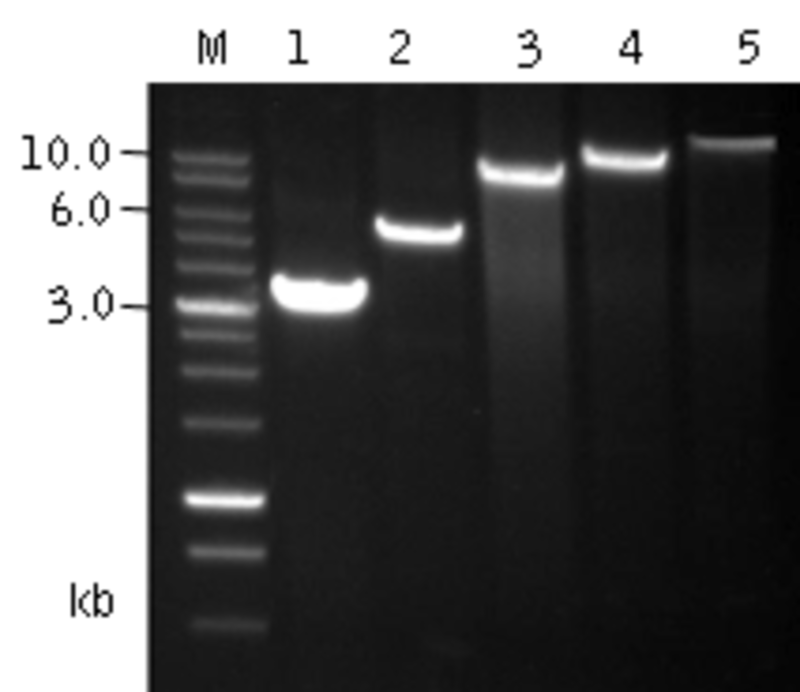 DNA fragments were amplified from 25 ng of template in 15 cycles (wells 1 and 2) and 19 cycles (wells 3-5). M – 1 kb DNA ladder.